That panic button is looking awfully enticing. Is it possible this thing finally ends? 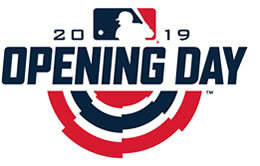 This offseason has been more boring than Super Bowl 53. 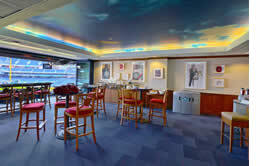 From SuiteHop, a sneak peek into everything you need to know about attending a Phillies game in a suite. We may not have Machado or Harper, but how about Josh Harrison? This winter will never end. 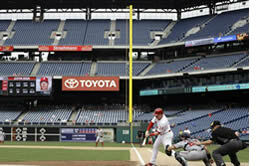 Phillies trade rumors - ChiSox up to 8 years, Middleton "got to know the man"
Is that a finish line out in the distance? 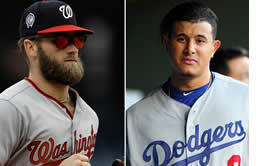 Maybe not, probably not, OK we know this is gonna drag on into ST.
Decided on Machado or Harper? You better look at WAR first. I know. Surprised me too. This offseason has been weird. 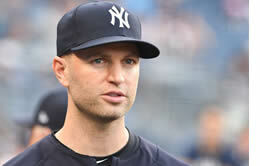 This is what happens when you compete with the Yankees I guess. Whenever New York and L.A. are your two main competitors, it's not going to be easy. 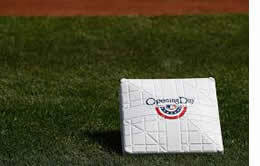 Poll Results: Which position players do you think will become legitimate big leaguers? 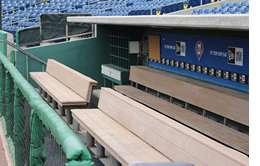 Still no Manny or Harper. Sorry. 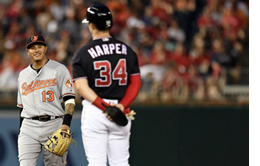 Let's assume Phillies sign Manny Machado - what next? If Manny Machado is the guy, it's not stupid until the Phils sign someone else. It's not THE reason to sign Machado, but it should play a role in the Phillies' decision-making process. 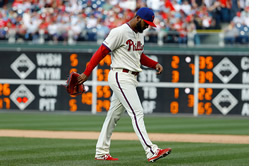 Phillies trade rumors - Thanksgiving edition - Might we be thankful for something special next season? Eovaldi? Corbin? Will they be joinging Machado? 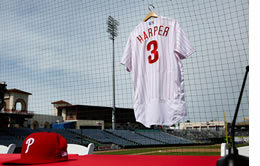 Or Harper? Or both? Middleton might give us lots to be thankful for. Harper�s Bazaar has begun, but don't expect any Boras client to sign anytime soon. Kap has plenty to think about this offseason. Finding value at the core instead of the margins might be the most important. We are in store for a fascinating offseason, but keeping Santana seems like a major mistake. Here's your leaders heading into one last (disappointing) week for the Phillies. The Phillies have to dominate the Braves and do some serious winning against other teams, but there still is a path to a division title. 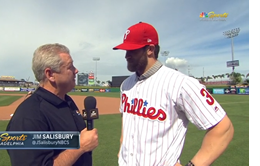 A great Q&A with John Mallee, what to make of this season, and how much the Phillies' starters have been hurt by defense highlight this awful week of baseball. Praising your hitting coaches may not be the best idea right now. 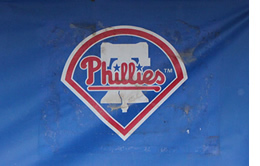 That's the least of the Phillies' problems. 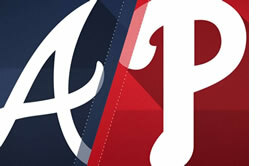 As flawed as the Phillies are, they still have a very good chance of catching the Braves. 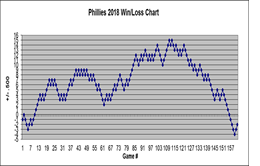 Around and around the Phillies merry-go-round goes! A month of slumps for Hoskins, Herrera, and Hernandez have to end sometime, right? Maybe Hoskins' homer last night jump starts 'em all. 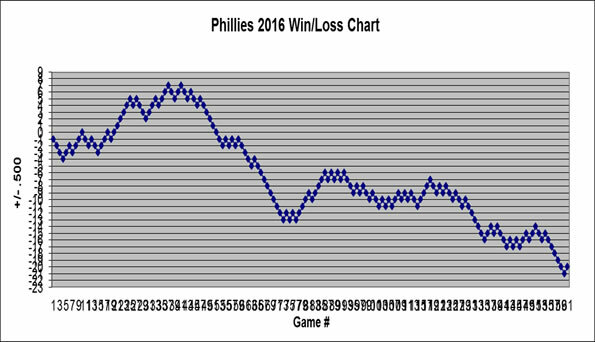 It was a rough, rough month, but the Phils escaped August just 2 games back of the Braves. 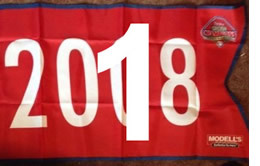 We're in a pennant race in September! 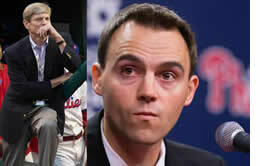 What does the offseason have in store for the rebuilding Phils' next phase?